Korey Burrell is one of my favorite artist in the Bay St. Louis area. His talented and inspired music is truly the definition of a generation. Listening to Korey’s solo project, Bear The Gentlemen, you are brought back to a simpler time, a time when you are fifteen years old, running the streets with your best friends, learning lessons everyday and not realizing that your choices are making you into who you will be in the future. This amazing artist and friend is one of my biggest influences in my personal and musical life. Korey’s indie style has folk and progressive undertones which he blends perfectly together. His lyrical writing style, in my opinion, is unmatched by any other local artist. Korey Burrell began learning to play the guitar at the age of thirteen when he enrolled in lessons. After Hurricane Katrina hit, he took it upon himself to learn guitar on his own. Korey moved to the Gulf Coast in early 2007 where he still lives today. Korey has never stopped progressing as a musician. He has always been active with his fan base, eagerly answering questions, and is always trying to make an impression on his fans, always trying to help others even when there is no personal gain. Korey has been featured as the singer and guitarist in many local bands throughout the South but has always kept his eye on his main focus, Bear The Gentlemen. 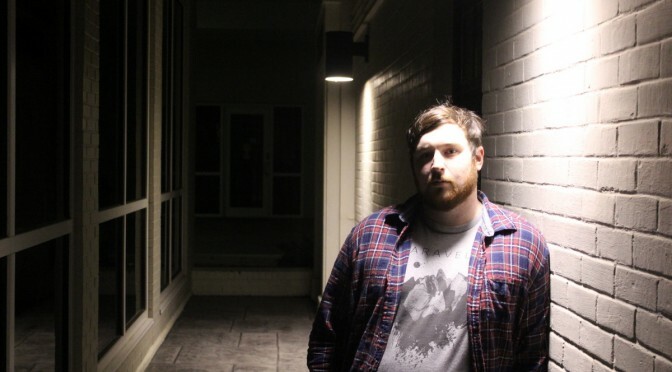 His solo project draws influences from artists such as Anthony Green, Dear Hunter, This Town Needs Guns, and his friends and family. Bear The Gentlemen’s newest ep Younger Years features a four- song playlist all about his life in Bay St Louis. This ep is inspired by his friends and the adventures we had and the hardships of not only growing up but growing apart. This album is a tribute to what it feels like watching your friends get married, start families and have a real job. Korey lays it all out, spilling his feelings of growing up on this album. The title track, Younger Years, is one of the most powerful songs on the ep. When listening to this song, I’m personally brought back to the times we all had together where there was no responsibility and life was just a big adventure with the best friends you could ever have. In 2013 Korey Burrell took his Bear The Gentlemen act on the road in his first-ever tour that he booked himself. The “I Wish I was a Lumberjack” tour was a huge success for Bear The Gentlemen spreading his music. The tri-state tour featured his music in Louisiana, Mississippi, and Alabama for one week of constant music. Since then Korey has begun writing more music and preparing for more performances in the near future. You can find Korey’s Bear The Gentlemen’s music on bearthegentlemen1.bandcamp.com. On this site you can listen to and purchase a digital download of his album Younger Years for $4.00 total or more if you are feeling generous. You can also find him on facebook.com/bearthegentlemen. In closing, Korey Burrell is one of Bay St. Louis’s most talented musicians. His skill in music, writing, and all- around attitude towards his fans make him the perfect candidate for the Coastal 90 Artist of the Month. Please go check out his music and feel free to ask him questions or leave comments on Facebook. He is always there to talk to his fans.